Whilst out yesterday we had picked up a few supplies for the room in publix. 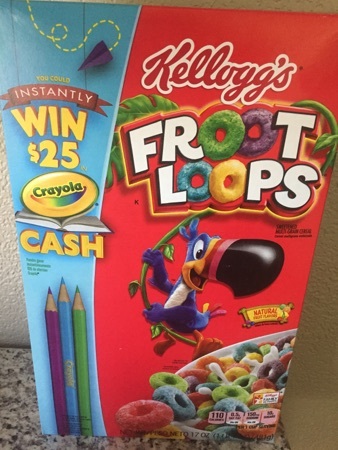 We spent $40 and got a couple of boxes of cereal, milk, orange juice, paper bowls, spoons, beer, crisps and after sun. 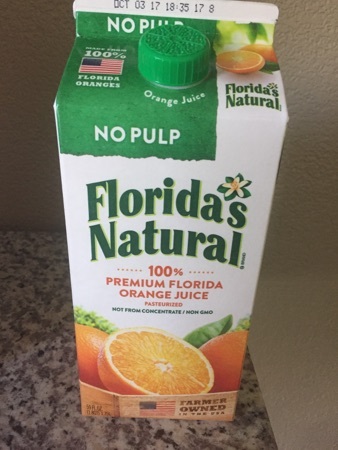 So breakfast this morning was orange juice and coffee. 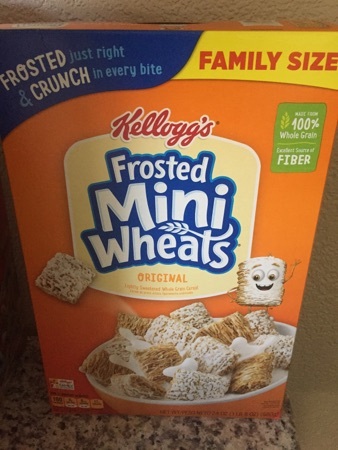 DH had frosted mini wheats. He said these are like frosted shreddies but nicer. 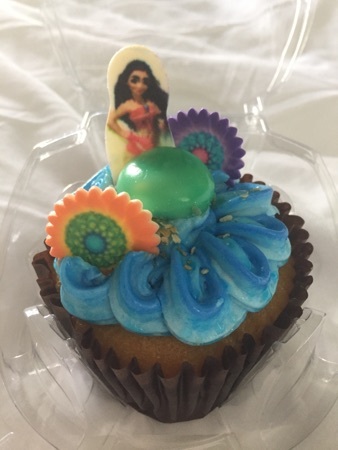 I kept up my roll of cake for breakfast and had a moana cupcake that we got with a snack credit the other night. This was a sponge cake with a hint of lemon filled with butter cream and topped with blue frosting and icing decorations. It was nice but not as good as the Minnie Mouse cupcake. This should have been $5.99. We spent the morning in animal kingdom and checked out pandora during daylight. 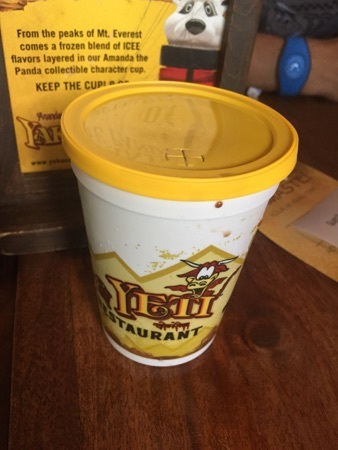 For lunch we decided to try Yak and Yeti restaurant. We used our landrys card to get priority seating and were seated about 2 minutes after we checked in. The restaurant was quite busy so we were very impressed with the quick table. DD had a chocolate milk which came in this cute yak and yeti cup. 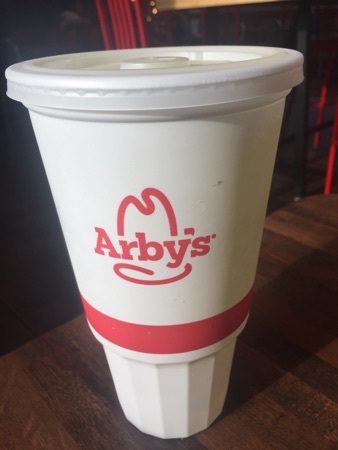 I ordered a Diet Coke and DH had a lemonade. 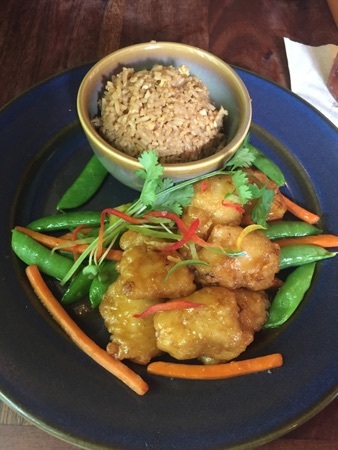 I ordered the honey chicken which was tempura chicken in a honey glaze served with sugar snap peas and carrots. You could choose jasmine or brown rice with the dish or for an extra two dollars you could have chicken fried rice. I chose the latter and it was absolutely delicious! So was the honey chicken! I thoroughly enjoyed every mouthful. 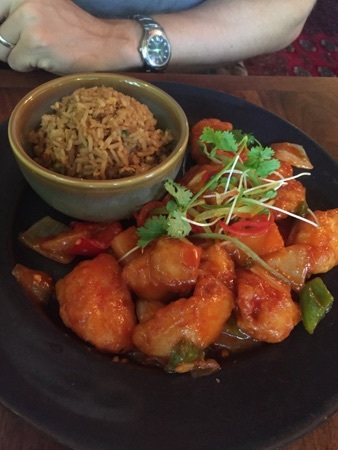 DH had the sweet and sour chicken with chicken fried rice. This was really good too, I tried some of this and thought the honey chicken was the better of the two. DD had a cheeseburger, this came with 2 sides so she chose yoghurt and grapes. She enjoyed this, especially the yoghurt and grapes. The manager popped by to see us which isn't awkward at all he just thanked us for coming and asked what our plans were for the rest of the day. 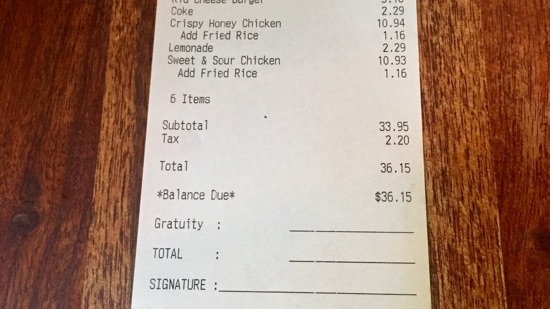 They took DHs $25 birthday reward off the bill so lunch cost us $36.15. We spent the afternoon in blizzard beach. 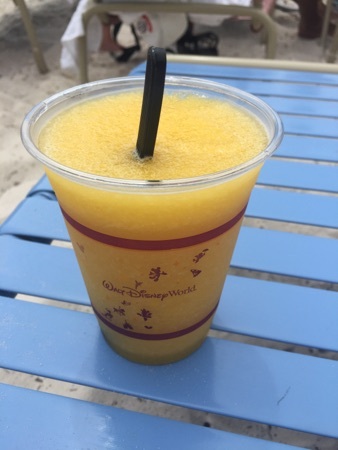 I got myself a passion fruit frozen drink. 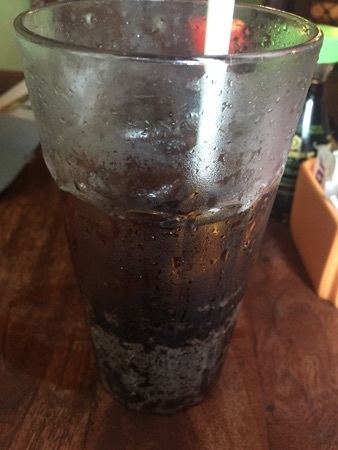 This was $5.75 and really refreshing. After a quick change at the hotel we wanted something quick before heading to magic kingdom for the evening. 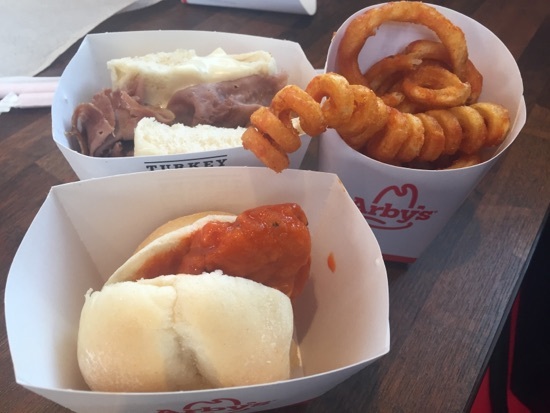 We decided on Arby's as it's right across from the hotel. 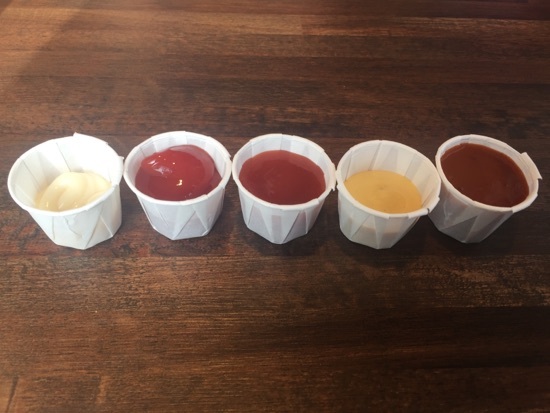 We got a selection of the sauces, there is horsey (creamy horseradish), tomato, Arby's sauce, honey mustard and a spicy one. DH got a large Mountain Dew and DD had a chocolate milk. I had a small ultimate chocolate milkshake. For small this was huge! It was made with ghirardeli chocolate and was absolutely amazing! 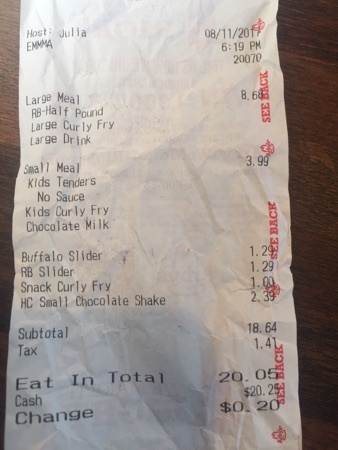 I ordered 2 sliders at $1.29 each. These beer roast beef and cheese and a buffalo chicken. The roast beef and cheese was really good. The buffalo chicken was really spicy. I also got a snack size serving of curly fries for $1. These were tasty. 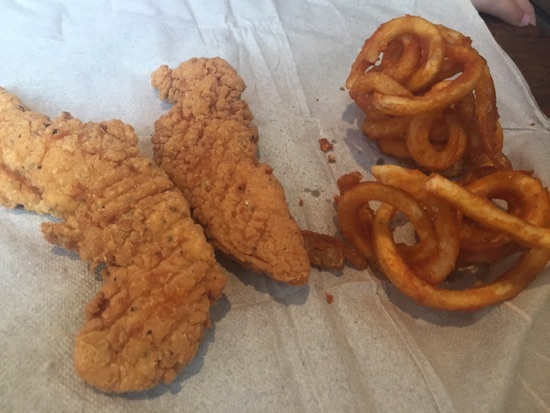 DD had the chicken tenders kids meal which came with curly fries. These were just like large chicken nuggets. 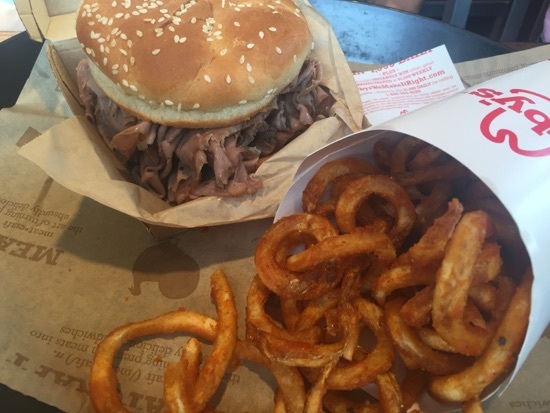 DH had a large roast beef sandwich meal with curly fries. 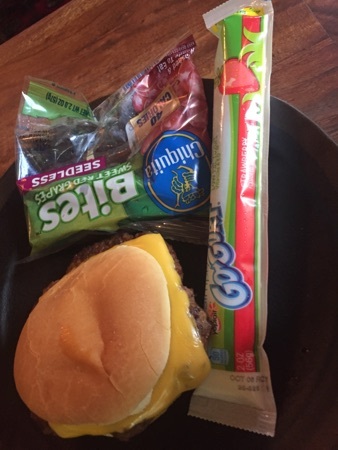 This came to $20.05 and we really enjoyed our meal. 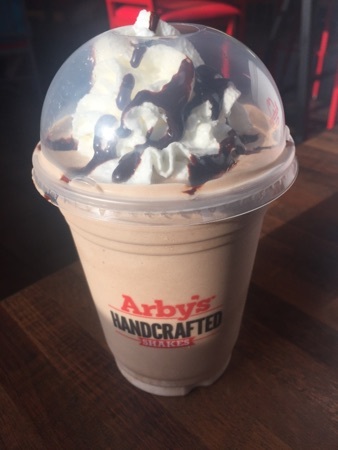 We all agreed the milkshake was the stand out thing though. We made it to magic kingdom and not long after the heavens opened. We decided to grab a le fou's brew in gastons tavern and wait for the rain to pass, only waited about 20 minutes. 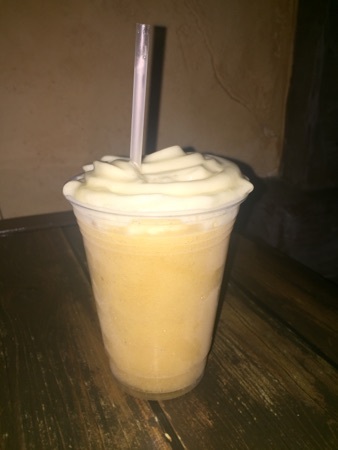 This was as good as usual frozen apple with passion fruit foam topping and cost $5.49. For anyone familiar with the DisUnplugged... While waiting out the weather, 2 guys were stood sheltering behind us, I recognised one of their voices and realised it was Oliver green the British guy who was on the show until recently. Yak and yeti looks good. Nothing wrong with cake for breakfast either. Yak n Yeti looks tasty, both dishes sound right up my street. Never been to Arbs, the food looks good though. New Photo Added by missdopey - 12 Aug 17 1:09 PM.